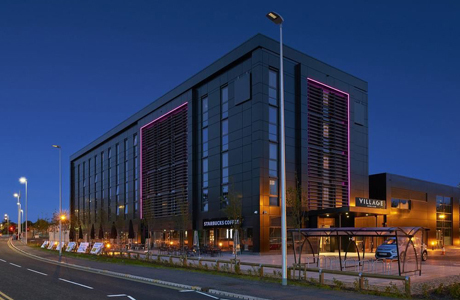 Village Hotel Glasgow offers free parking, a grill restaurant, a trendy bar and Starbucks. The hotel also includes an extensive leisure facility including a 20 yard pool, spa, steam room and sauna. This chic hotel has 120 stylish bedrooms which feature free WiFi, a large LED TV, an en-suite bathroom, and an iron. The upgraded rooms ‘Upperdeck’ have other benefits such as full a Sky package including movies and sports. Gailes has hosted major championship tournaments through the years and was designed by legendary golf architect Willie Park Jnr of Musselburgh. It was opened in 1892 by Glasgow Golf Club, the 9th oldest golf club in the world. Its West Coast setting and fabulous condition makes it ideal for summer and winter golf in Scotland. 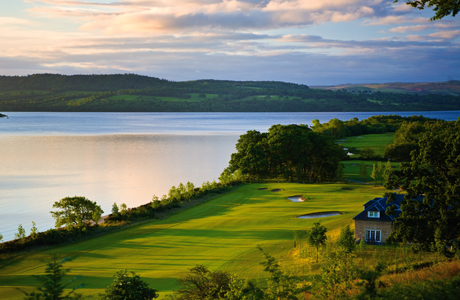 It is a world class links course which attracts players from every corner of the globe. 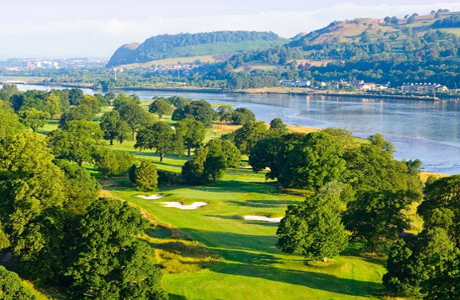 With spectacular views of the River Clyde and the Kilpatrick Hills beyond, the new 18-hole Earl of Mar championship golf course offers a five star golf experience close to Glasgow. It was designed by respected golf course architect, Dave Thomas, who is known for his work at The Belfry in England, plus San Roque and La Manga in Spain. Opened in June 2007 the Carrick golf course has already played host to some prestigious professional events including the Ladies Scottish Open (2007 & 2008), the PGA Cup (2009) and more recently the Europro Tour (2014, 2015 & 2016). 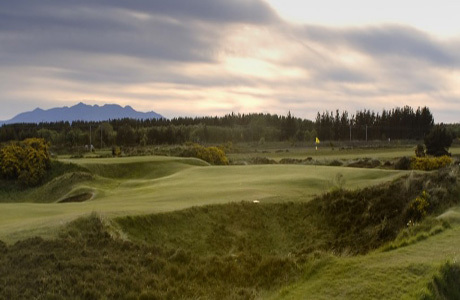 The stunning course uses every inch of the dramatic Scottish landscape on offer, straddling the fault lines between the Scottish Lowlands and Highlands, with nine holes set in each.